People from nine countries enjoy playing in the EuroMillions lottery every week. Interestingly enough it’s one of the largest partnerships of various lotteries in several European countries. For example, you can participate in this lottery in Belgium. In this country EuroMillions is organized by the National Lottery. EuroMillions dreams of becoming the largest lottery in Europe. It wants to be even bigger than Eurojackpot! EuroMillions has actually many similarities with the Eurojackpot lottery. However, there are some differences as well. For example, the maximum and minimum sum of Jackpot money is different. The distribution of the prize money in several prize categories is also not the same. The EuroMillions lottery was established in 2014. Initially, players from just three countries participated, namely France, Spain and the United Kingdom. However, the lottery extended its business quickly to other countries like Luxembourgh, Portugal, Switzerland, Ireland, Austria and Belgium. At the moment EuroMillions is played in nine countries in total. Although the Netherlands is not part of this list, it’s still possible to participate because of the internet. You could also buy a lottery ticket in a Belgium store. EuroMillions is a large European lottery with many participants, which makes it possible to offer big cash prizes. It’s even possible to win a Jackpot of € 190 million in this very popular lottery. The minimum amount of cash prize is always € 17 million, so the winner will definitely not end up poor! If the Jackpot doesn’t fall for a long time, the amount of prize money will rise. Each lottery draw the Jackpot will rise with a different monetary amount, depending on the number of tickets that are sold. Because of this process you can win more than € 100 million several times a year. A few times a year special draws known as the ‘Special Millionaire draws’ are organized. Every year about 80 to 100 participants win about a million euros in this special lottery. How can you participate in this lottery? You can participate in the EuroMillions Lottery once by purchasing a ticket of € 2,50, or continiously by a subscription. With the last option you automically take part in every draw. In this lottery have to choose five numbers from a series of 50. You also have to pick two so called ‘stars’ out of a series of 12 numbers. It’s up to you which numbers you choose. For example, pick your lucky number, your birthday or some random ones. Or use the computer to pick a series of random numbers. Some lotteries keep track of the numbers that fall often and less often. They’re called ‘warm’ and ‘cold’ numbers. EuroMillions is one of the lotteries that works this way. You can actually find these statistical data on the website. The ‘hot’ and ‘cold’ numbers are determined by the previous period. For example, number 20 is very popular, while the number 3 is definitely ‘cold’. You can use these interesting statistics when choosing your own number. 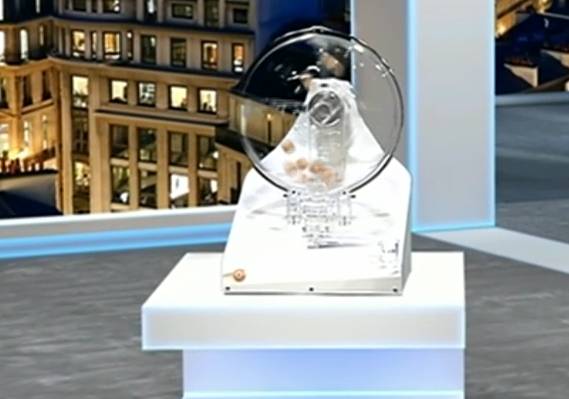 Also find out which number combinations and stars appear a lot during the lottery. After purchasing your lottery tickets you need to pick your numbers. After this you’ll receive a confirmation. When you’re an online player the casino will send you an email. De EuroMillions draw takes place twice a week, namely on Tuesday and on Friday at 23.00 p.m. Place to be is the beautiful French capital Paris. It’s still possible to buy a ticket several hours before the draw in the evening. You need to predict the right numbers and stars to win the lottery. The amount of prize money depends on the amount of numbers you’ve predicted correctly. Good luck! The prize money of EuroMillions is divided in thirteen categories in total. The first category includes the Jackpot. The combination of numbers that corresponds with the drawn numbers ánd the amount of stars you’ve predicted well decides in which category you’ll end up. For example, a participant who has four numbers and two stars correctly ends up in category 4. However, someone with four good numbers but zero stars ends up in category 7. 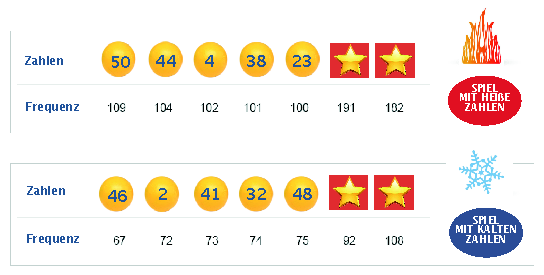 To win the Jackpot you need to predict all five numbers ánd the two stars correctly. Your chance of winning is different in each category. It also depends on the number of lottery tickets that has been purchased in total and of course the number of tickets you’re playing with. The chance of winning a prize in the EuroMillions lottery is about 1:13. This is the average of a lottery ticket for one prize in one of the thirteen categories. This actually means that the chance of winning a small prize is much higher than a big one. For example, your chance of winning the Jackpot is about 1:116.531.800! However, you never know if it’s going to be your lucky day. Another big prize lower than the Jackpot is also great. This makes playing in Euromillion great fun. After the draw you can check the results in several ways. You can watch it each Tuesday and Friday around 23.00 p.m on the Belgium tv channel Één. It’s also possible to see the results on the EuroMillions website or by using the app of the National Lottery Belgium. Or perhaps you like to make a call to the so-called ‘Eurofone’ or visit a point of sale to ask for the results. It’s even more easy when you’re an online participant. You’ll receive an automatic email notification when you’ve won a nice prize. EuroMillions offers incredible high prizes. For many people this is definitely the main reason to participate in the lottery. The highest EuroMillions Jackpot in history has been € 190 million! It fell in 2012 in the United Kingdom. The highest Jackpot ever in Belgium wasn’t very low either, namely € 168 million. It took place in 2016 during the so called ‘EuroMillions Super Draw’. This is a special evenement in which you can win an incredible amount of money. The minimum amount of money you can win during the SuperDraw is € 100 million. However, the prize money will rise if there’s no Jackpot hit.